South Korean pop star PSY has released the music video for his latest single "Daddy" which is as catchy as the phenomenal hit "Gangnam Style." It showcases frenetic dancing and colorful outfits fit for a PSY music video, the first one since the release of his seventh studio album "Chiljip PSY-Da" on December 1st and the third most-watched since becoming an international sensation three years ago. 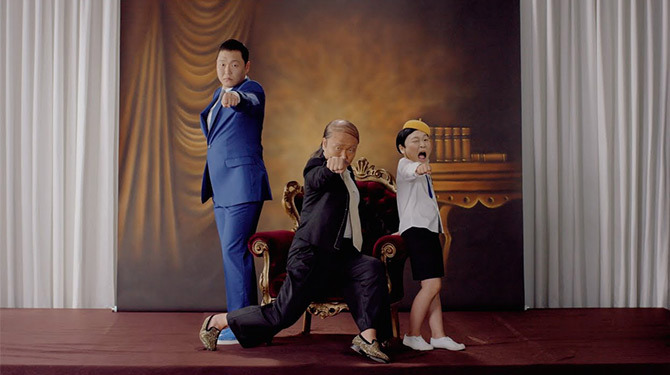 "Daddy" is PSY's 22nd K-pop single. It was unveiled on November 30 via his YouTube channel and has already garnered nearly 9 million views as of 8 a.m. on December 2 (Manila time). The music video features CL of the all-girl K-Pop group 2NE1 and two PSY clones, which means there are three PSYs here: a kid, a daddy, and a grandpa.